Inspired by mid-century modern design, the Andro Double Wall Light by Heathfield & Co has a retro feel with a contemporary edge. 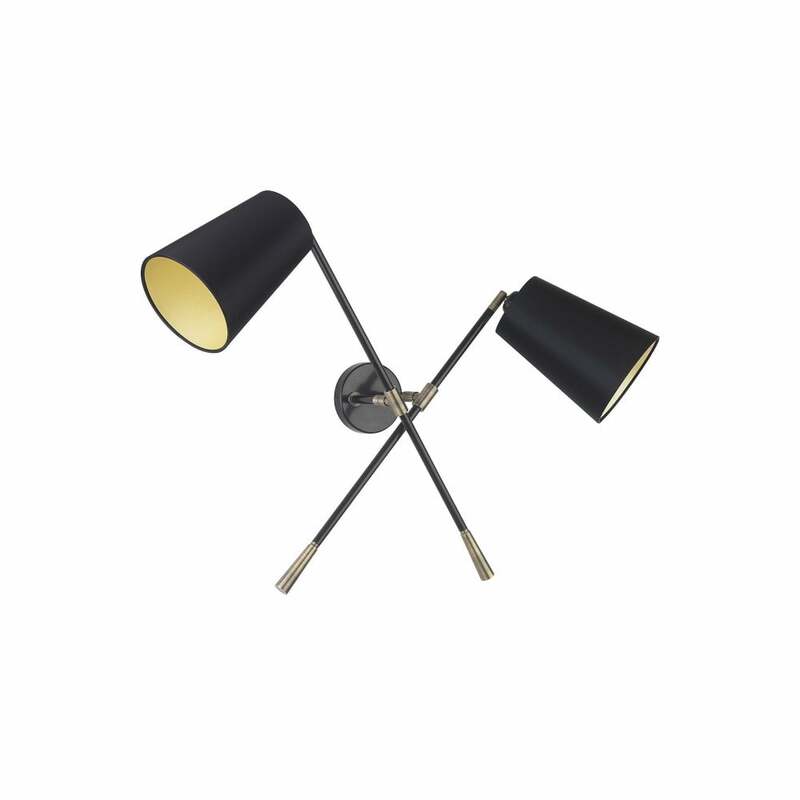 Finished in antique brass and black egg shell, this stylish light features swivel joints for ultimate practicality. Part of the popular Andromeda range, the luxurious shades are available in a wide range of colours and fabrics. Make an enquiry for more information. Priced for 6" Tall French Drum shade in silk with white PVC lining. Please contact us for other options.